A recap of my recent social media posts previewing the 2019 edition of my Nottingham Calendar with the images I’ve chosen for each month , in this first part I concentrate on images I’ve selected for the months of January to June. Here’s a link to the second part of this preview looking ahead to the final part of the year. 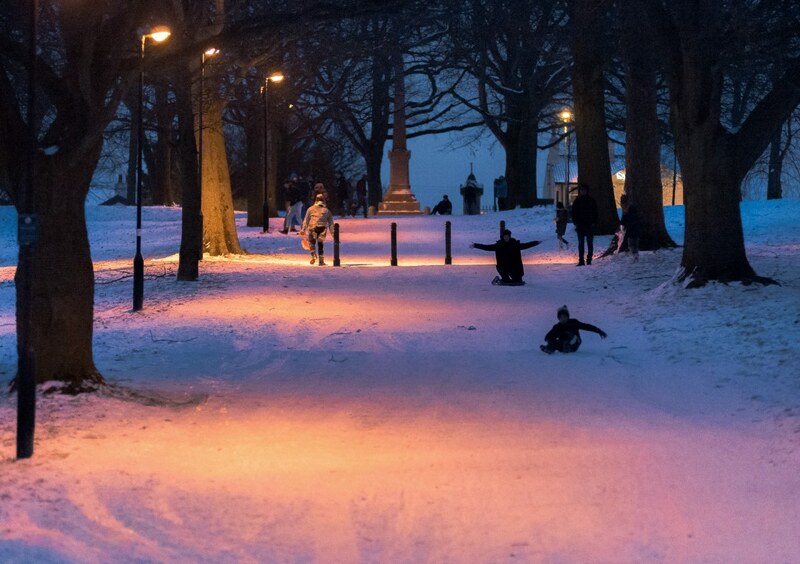 January – Crowds take advantage of recent snowfall sledging down the hilly entrance pathways of the Forest Recreation Ground ,while a monument to soldiers who fought the Boer War looms large in the distance. 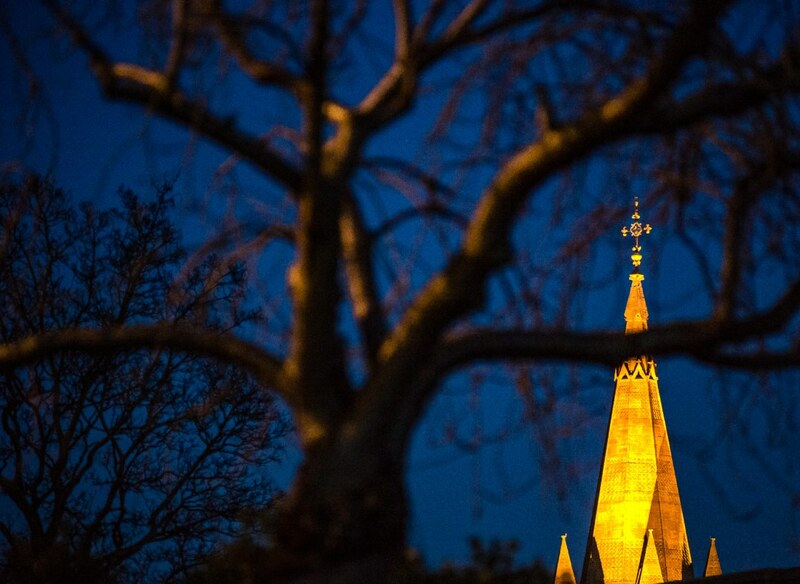 February – The brightly lit spire of St Barnabas’ Cathedral is framed by nearby trees , one of which fittingly lit by a sodium lamp against the deep blue night sky . 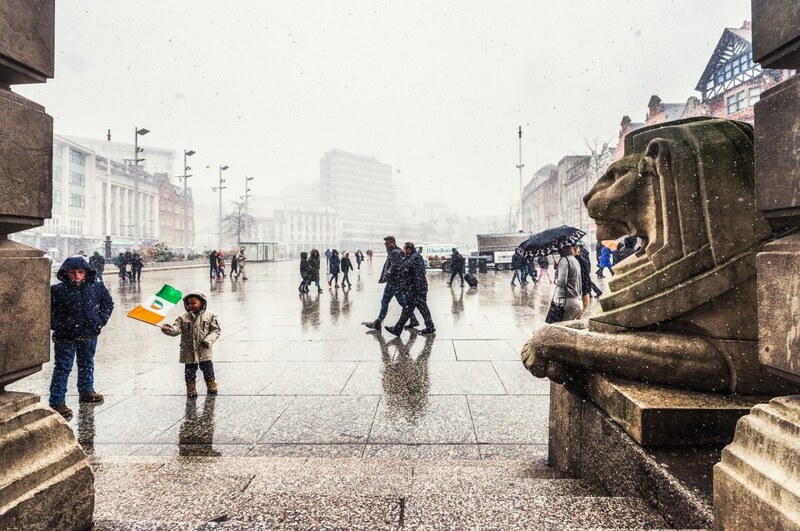 March – Blustery snowfall on St Patrick’s Day didn’t dampen the enthusiasm of those attending with flags being displayed and held proudly aloft , with the Left Lion watching on. 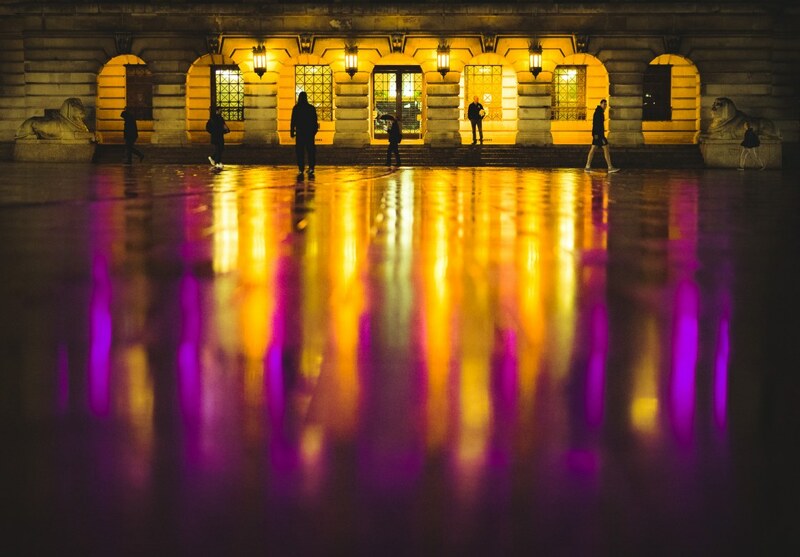 April – Reflections of rain on paving slabs of Old Market Square frame up and highlight the Council House with its curved archways and brightly lit façade. 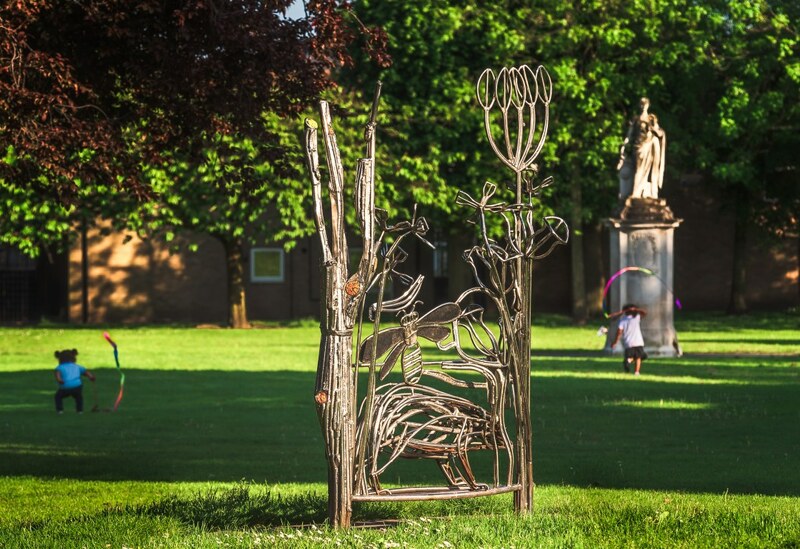 May – Broadgate Park , Beeston – a metal sculpture by Hilary Cartmel tells the story of a vibrant and energetic town , while two children play on in the background. 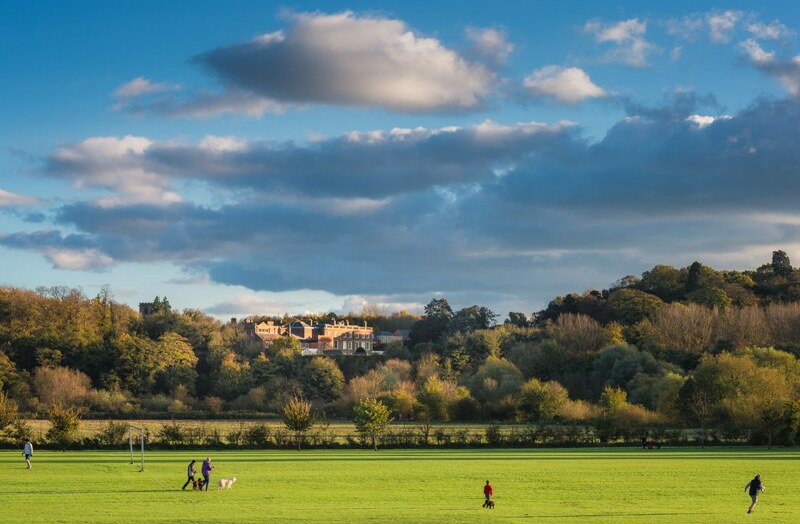 June – From one side of the River Trent to the other : Clifton Hall is wonderfully highlighted by late evening sunshine as seen from playing fields near to Beeston Rylands , with the Trent basin in between . class="post-template-default single single-post postid-3788 single-format-standard samba_theme samba_left_nav samba_left_align samba_responsive woocommerce-no-js wpb-js-composer js-comp-ver-5.6 vc_responsive"